A septic system uses a tank and a drain field to dispose of sewage. This waste water treatment system is commonly found in rural areas or on large tracts of land where access to a sewer hook-up is unavailable or not feasible. A septic tank is manufactured from reinforced, impermeable concrete and buried underground. Untreated waste from a home or business is stored here while bacteria feed on it, serving as a biological treatment process. The “treated” waste water flows through a series of perforated pipes called a drain field. Because this drain field of pipes acts like a sieve, the treated water is then dispersed from the septic tank to the soil. The very design of a septic system requires proper maintenance. Even the best ones can fail or cause a problem, which will result in sewage back-ups. If sewage pools aboveground or near the surface or backs up into a building, humans and animals can get sick and nearby bodies of water can become polluted. Further, these situations require expensive septic tank repairs or replacement and disrupt your septic system. 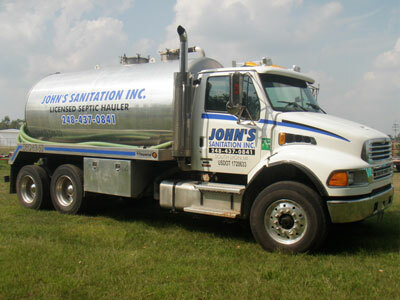 When a septic system is properly installed and maintained, you prevent costly emergencies and harm to the environment.